This is kinda long. Sorry about that. Hi. 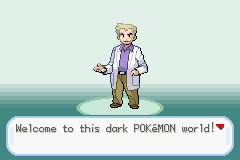 I'm qaz015393 and this is my first pokemon hack. I did however work on a older version of the hack but I forgot about it and the team fell apart after some time. So I had this idea for a while now and still plan on making this hack. The idea and the team behind the hack Team Dark Evolution. 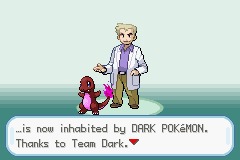 Why call it Team Dark Evolution? 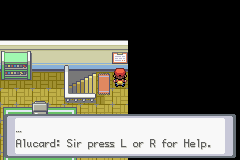 Because it sounds right for the idea I had once for a Rom hack that will have the Pokemon in it dark. I had the idea thought of a few years ago but never really thought it fully though. 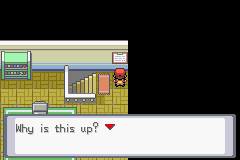 However after playing many amazing hacks I wondered about my great idea of Pokemon game called Pokemon Revenged but forgot what it was and the full story, so I plan on making a new hack with a different story. So now I no longer want it to be nothing but a thought in my head but, a real hack others who share the same interests as me can enjoy and play. 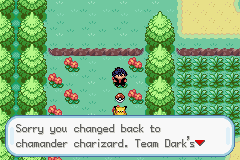 This thread is to make Pokemon Revenge * or Pokemon Dark Evolution, if I think of renaming the hack/team name* a reality. I can not make the hack alone so I'm forming a team to help me out since I forgot everything hacking related from few years ago. Although I am now slowly working on it since I am back working on it. At the age of 16, you became the champion of the KYERG region [name could be changed later] Team Obsidian is gone and everything is peaceful. 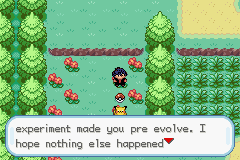 One day 6 years later, when you are with your friends and girlfriend enjoying life,Team Obsidian returned with their plan to defeat you and experiment on Pokemon to evolve them to horrifying shadow Pokemon and take over the world. They succeed in blind siding you capturing everyone, you and your dark charizard. Everyone had their memory of you vanished due to Team Obsidian's experiment. 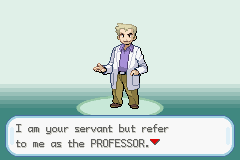 Your friends and girlfriend have been brainwashed and have been made gym leaders and your rivals. It is your job to bring all their memories back. You kinda like the world as it is but hate Team Obsidian for what they have done to your loved ones and the Pokemon and seek revenge. Some familiar faces join you as well. What familiar faces you ask, just wait and see. new hero/hereon, gym leader, evil organization, elite four, champion, etc. ALUCARD: He replaces Prof. Oak and now has more of a part in the game. SIRIS VICTORIA: She replaces Green or otherwise known as the main rival. WALTER: He replaces your mother and he is you loyal servant. That is all the characters I will be naming and taking about. Will do 1 soon. If you would like to do 1 be my guest. Just want to apologize for the errors, grammar and other things that may be a problem in this pre beta. Just to let you know they will be fixed soon as we move along in the hack. I decided to release this since we are still working on it but on our new rom by SicariusCredo3. 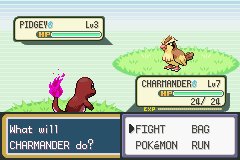 And since in our new rom we have a few new gen 4 pokemon inserted [and it doesnt like me to let me re insert the scripts] the test rom I used to insert scripts will be released instead. 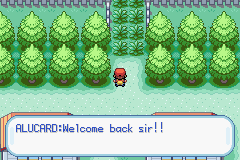 Anyway this covers scripts up to the 4th badge [2 scripts were not inserted since was waiting to do them and has 2 towns without npc scripts edited], intro changed, male hero sprites [no running ones], music from HG music patch [which is being changed in our new rom to custom music]. There are 2 main bugs though, you can't go to route 2 so instead u go to pewter city. 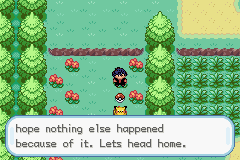 Which means u cant go back to the previous towns/routes. And also in front of Mt. 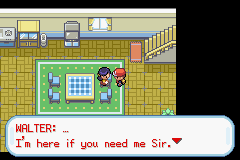 Moon's poke center the quest script freezes the game. But u can bypass it to continue and do the 1st part of the quest. The other part doesn't work so u get no script. 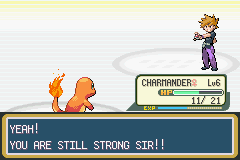 It has some new sprite for the pokemon. 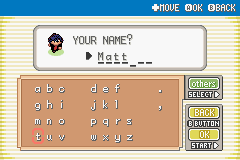 There is 1 thing, the rival's name replaces the new character that are inserted when u enter battles [was trying to change it in the previous rom so there are a few rivals but am fixing it in the new rom]. And a few scripts got a bit messed up [i dont remember since we r using our new rom] so so sorry about that. 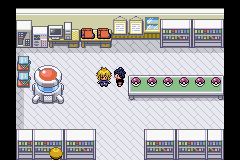 The script where u choose another starter in the lab is a bit messed up. Again, I'm releasing this pre-beta to try and get team members to help me out. 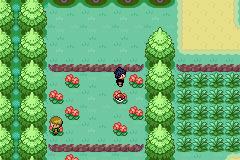 As of now the npc on route 1 [the only other person on route 1 besides the poke shop keeper] doesn't have a script. I tried to change it. Some of the text gets cut off at the end. Some text for Alucard isn't showing up and I am working on fixing it. THEFOREVERMAN -- ??? [programming/scripter] helped made the story better. Syneon thanks for helping out & for the tutorial. habit12 --- graphics, spriter, title screen maker. SicariusCredo3- for inserting tiles using the tutorial Syneon did and Shawn for the original tutorial. Syneon- for helping me trying to add the tiles & the tutorial. Shawn for the original tutorial. THEFOREVERMAN- for helping fixing the main story and some scripts. 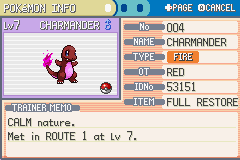 tayub121 -for helping out with the sprites & credit for the charmander sprite. BlueEon - The male hero Sprite + it's Ows. BurstX - for letting us use his Silver sprite in the hack. 1158 - for doing some character sprites. tayub121 - our temp spriter. Ksiazek Bartlomiej for most of the gen6 sprites, icons and cries. STORY: 90% finish hand writing the main story. Didn't do the Team Dark encounters or the legendary mons though since those are kinda easier. I'll do them later. Thanks THEFOREVERMAN for helping me fix the script I would like help for the progress to go faster [since im re-learning]. SPRITES: 45% a few of custom sprites are down for the characters. I am using public sprites for the pokemon & other trainers and will add credits for them once they are inserted with no problems. I need help and team members since I'm relearning how to hack. So you can go here to apply.If you would like to join the team leave me a VM/Pm and we can talk Since we do have possessions open and some more help. Also we are looking for another scripter to help out. HERE'S A CATALOG OF WHAT IS DONE AND THINGS THAT STILL NEEDS TO BE DONE. Last edited by qaz015393; 16th September 2014 at 03:40 AM. Thread approved. Generally if you have zero posts and try to post a thread it won't work. Our bot spam protection is a little weird but it gets the job done. I understand that. Though I thought I made the thread after 1 or 2 posts to try and bring this thread over from another community. Thanks a lot. I'll be sure to do updates here as well. 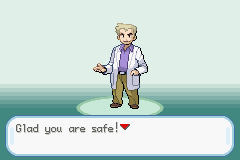 I had to re insert everything into a new rom and start over due to some errors. But we do have about 4 towns worth of new scripts with progress coming along. Although things are slow since I ran into problems with the intro scripts not working [and some text jumbled with text from other scripts for some reason and waiting for our new tile set rom base since our inserter is busy]. I'm spending my time trying to fix them [with little to no luck lol] so when we finish with some more script fixing and a couple more events we will release a new beta with 4 towns, 3/4 badges. Last edited by qaz015393; 28th July 2014 at 06:52 AM. I'm very interested in seeing how this hack plays out. [EDIT] Also, if you'd like someone to playthrough the game on YouTube when a release comes out, I'd be happy to. 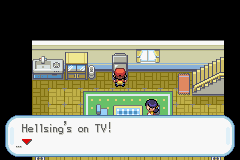 Last edited by RetroGamingTactics; 28th July 2014 at 06:52 AM. Just finished re adding OWs for 3 characters. Hopefully 2mor I'll be able to add some more progress and the scripts I plan to insert will work without fail. Last edited by qaz015393; 29th July 2014 at 05:37 AM. Just wanted to do a little update. I added some more scripts in the game so now there is a decent amount of stuff to do for beta 1. 4 towns, 4 badges and a decent amount of story. 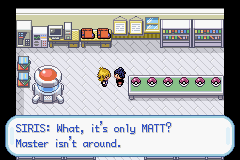 Although I'm having an issue inserting the sprites. It says compressing error image too big even though I'm following a tutorial to insert them. So once some trainer sprites are inserted and the team test runs the rom, Beta 1 will be out soon [I plan on fixing the intro scripts 2morsince i was doing other things 2day]. The story reminds me of a game I played a long time ago, Digimon World Dusk/Dawn, there you started with a strong team, but then a strange incident occurs and your Digimon devolve to their first form. Good luck with this! Last edited by MazinroboX2; 3rd August 2014 at 09:59 PM. The story reminds me of a game I played a long time ago, Digimon World Dusk/Down, there you started with a strong team, but then a strange incident occurs and your Digimon devolve to their first form. Good luck with this! Going to also update the catalog later 2day as well.